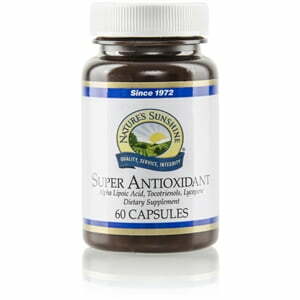 Nature’s Sunshine Super Antioxidant assists the body in fighting harmful free radicals that can damage cellular makeup. 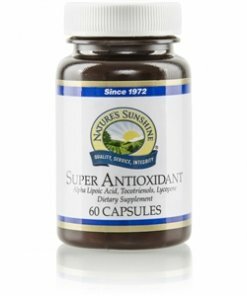 Super Antioxidant scavenges free radicals with tocotrienols and provides antioxidant properties with lycopene and alpha lipoic acid. The formula uses rose hips, milk thistle, and turemric as an herbal base.